This is one of my favorite days of the week because I learn about all of our participants. Keep reading until the end so you can learn about my give-away. 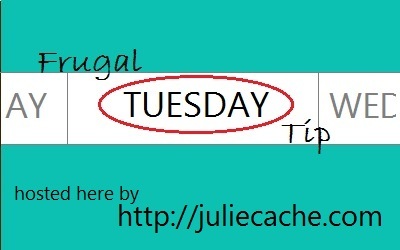 Sara and I will post some interesting ideas for frugal summer fun on Friday, so be sure to come back! Last week, a few participants had their posts deleted….because they linked their blog instead of their post. Please use your permalink, which is the URL to your post. If you don’t know what a permalink is, you’ll find instructions near the bottom of my Frugal Living page. 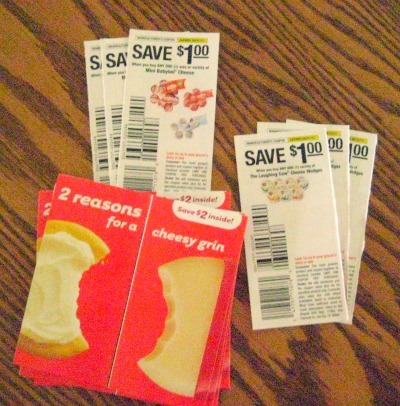 This week, I am giving one lucky commenter eight coupons for $1 off Laughing Cow cheese. To enter the giveaway, leave a comment here at my blog, telling me if you like to see the Butter Cow at the Iowa State Fair. If you are out of state and have not visited during the state fair, tell me what you think about butter sculptures. I’ll announce a winner next Tuesday, July 19. Love the Butter Cow. It is a must see whenever we make it to the Iowa State Fair!